On Thursday afternoon 27 July at 3:15pm we held a free SchoolNet webinar entitled 'Trending in I.T. - Reflections from ISTE'. Our speaker was Tracy Heath, a Microsoft MIEExpert Educator from Joburg. She is the ICT teacher for the Primary School at Brescia House School, a Microsoft Showcase School, in Johannesburg, Gauteng. She has been teaching ICT for more than 13 years. Tracy was one of three teachers in South Africa selected to attend the Microsoft E2 Global Exchange in Budapest in 2016. Tracy recently returned from the ISTE conference which is the biggest Ed Tech conference in the world. This year it was held in San Antonio in TExas. Tracy says that she learnt a huge amount. One of her big take aways from ISTE is taking responsibility for personal learning and belonging to groups that can help one's learning path. Tracy was eager to share some of what she learned in the upcoming webinar which she has titled, " Trending in IT." She said, "I was privileged to attend ISTE 2017 in San Antonio, Texas and was blown away by the positive and excited educators that I met there. There were over 1100 sessions to attend and so much to see and learn. My presentation will be on the general trends in education that I saw while at ISTE. I will cover coding, AR, VR, libraries and the maker movement as well as touching on professional development." SchoolNet presents a free webinar once a month. 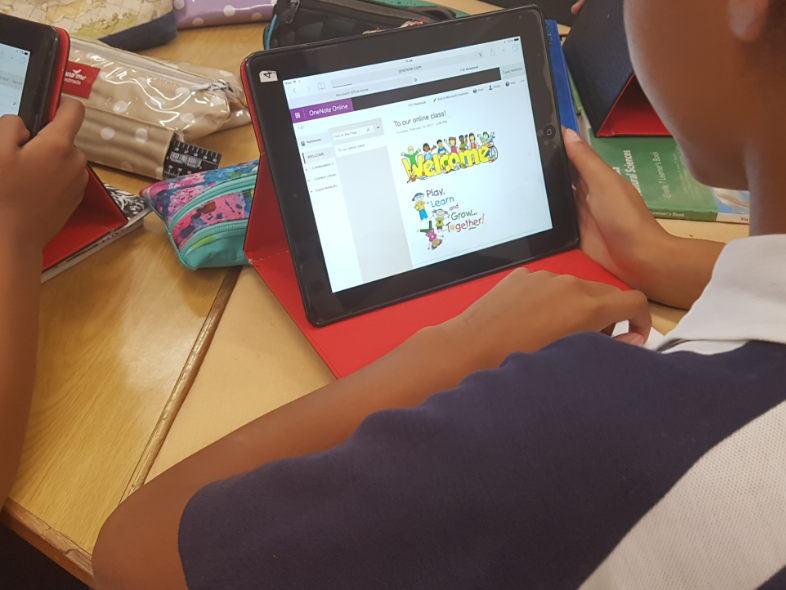 Eversdal Primary School – a Microsoft Showcase School where OneNote rules! The first thought that goes through your mind when you visit Eversdal Primary School in Durbanville, and you see the amazing technology integration that is taking place in the classrooms, is, ‘Why haven’t I heard about this school before?’ The school has been selected as a Microsoft Showcase school and the badge is proudly displayed on their website. 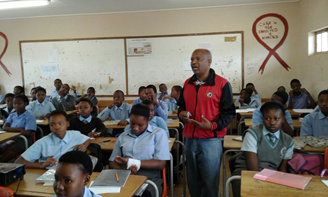 Arno Pienaar, a teacher at the school says, “We first heard of this program when we met Elsabe Hart from Microsoft. We were encouraged to join the program and this has been a great way of getting to know people and sharing our ideas with fellow educators as well as learning new skills and being updated with global trends.” Both Gys Burger and Arno Pienaar are current Microsoft Innovative Educator Experts. 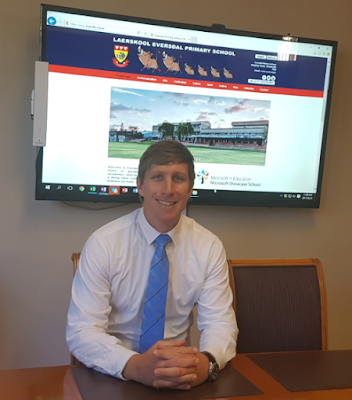 The interesting thing about Eversdal Primary is that not only are the school leadership team members all fully on board with the school’s ICT vision, but they are leading the way. Their vision is to equip the staff and supply a one-to-one learning experience to all their learners, without the need of individual attention. “This can only be achieved when our children are actively involved during a lesson and creating their own content, thus creating their own understanding of what has been taught,” says the principal Henk Arangies. The school is equipped with a state of the art computer lab, but they also have a BYOD (Bring Your Own Device) policy in operation. 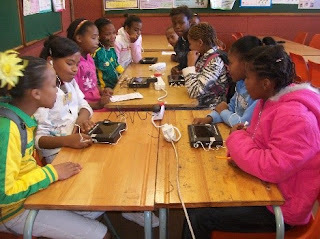 They allow the Intermediate and Senior Phase learners to bring their own devices to school. 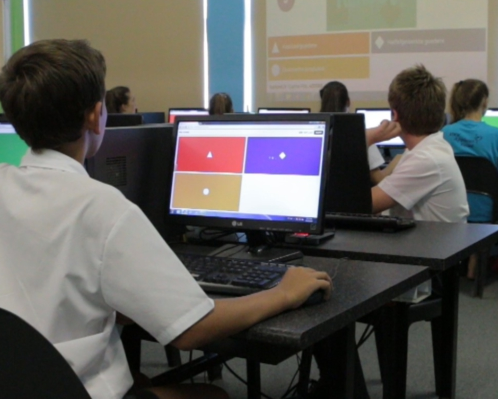 Because of the large number of learners in these phases, they first had to get their infrastructure in place so that it would support the number of learner devices in use. This is a vital step in any 1:1 program. 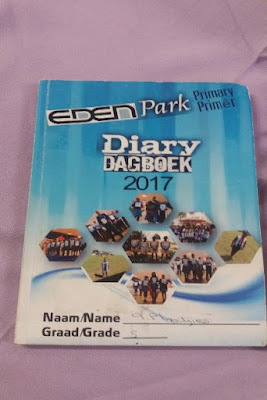 The Intermediate and Senior Phase learners at Eversdal use OneNote in their lessons. OneNote works particularly well on BYOD devices. “OneNote is the answer that we’ve been waiting for. It allows us to create content and share this with our learners. It also allows our learners to create content and share it with us. Working collaboratively with learners and encouraging them to be active participants in the learning process is a very successful approach. OneNote also allows us to work offline and sync changes and not be bound by online work,“ says Gys. In a typical OneNote lesson the teachers either distribute content and the learners follow and make notes on digital content, thus empowering them to be in charge of their own content; or, the teachers ask the learners to create content through gathering, analyzing and presenting work. 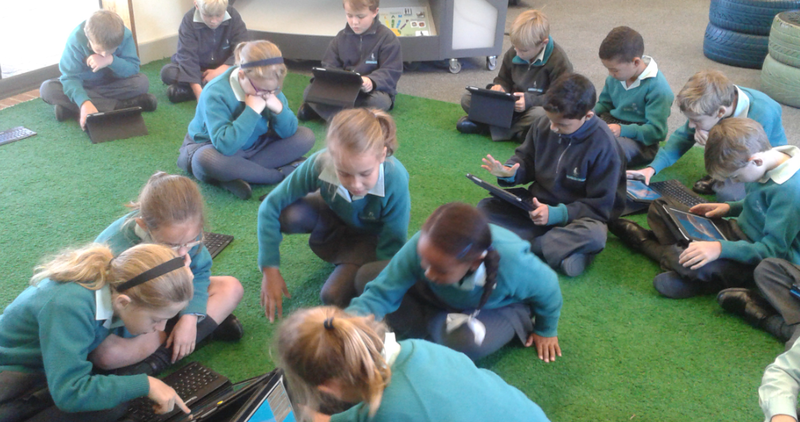 This new active way of learning digitally also facilitates collaboration between learners enabling them to work on challenges and solve problems together. The Eversdal team are finding that integrating learning with the use of technology in the classroom is empowering their learners to become creative, analytical and critical thinkers. They are already making plans to take their digital learning forward by introducing STEM (Science, Technology, Engineering and Mathematics) projects into the curriculum. As the third term springs to life in our classrooms, have you thought of adding any new technologies to your lessons or your professional development? 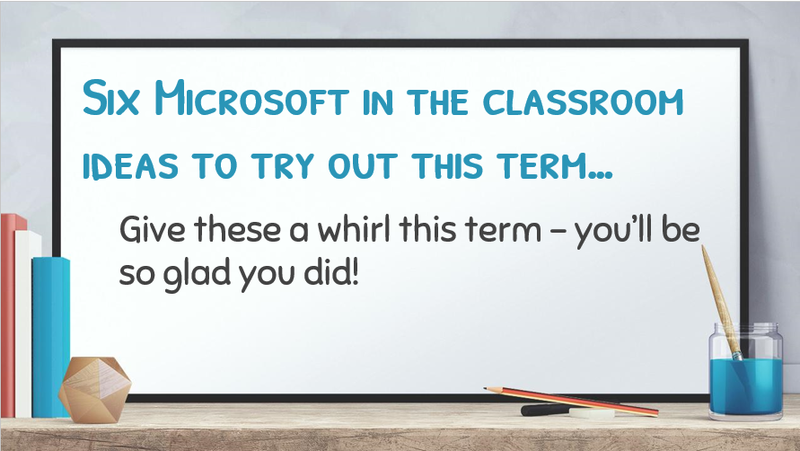 Here are some useful Microsoft in the classroom ideas to try out this term. 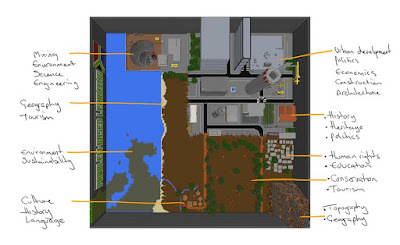 There are many ways to use Minecraft: Education Edition in the classroom. Go to https://education.minecraft.net/ for loads of ideas and lesson plans. 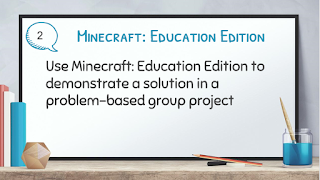 But what I noticed recently is that a problem-based group project works really well when you have the opportunity to demonstrate the solution using Minecraft Education Edition! 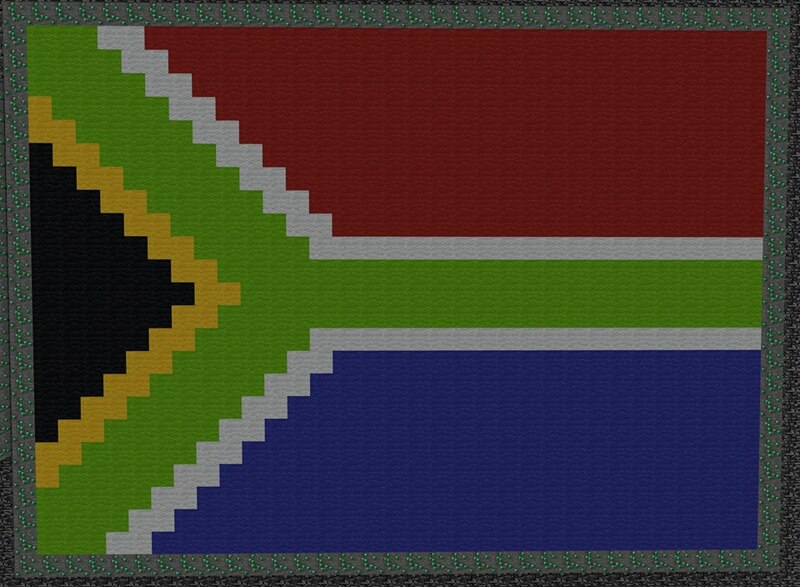 Apart from all the critical thinking, creativity and collaborative skills that come in to play, the use of Minecraft: Education Edition in a project brings an excitement with it because the learners are making something using a product that 21st century learners love! You can read about a problem-based project that was done using Minecraft: Education Edition here. 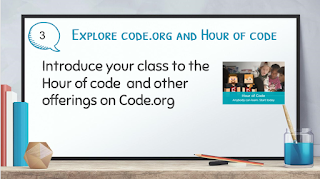 Another idea is to get your class to try out the Hour of Code. Coding is one of the vital future skills that our learners need. The Hour of Code usually happens on a day in December as a world-wide event, but it can actually be done at any time of the year. It is part of www.code.org which has amazing free offerings for all age groups of students. There are a number of different Hour of Code games to choose from. Your students will love them! 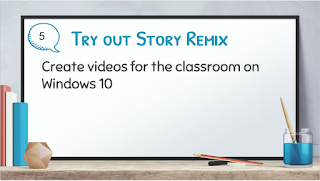 Talking of stories, did you know that Book Creator which was voted Best Educational App in the 2015 BETT Awards, is free on Windows 10? 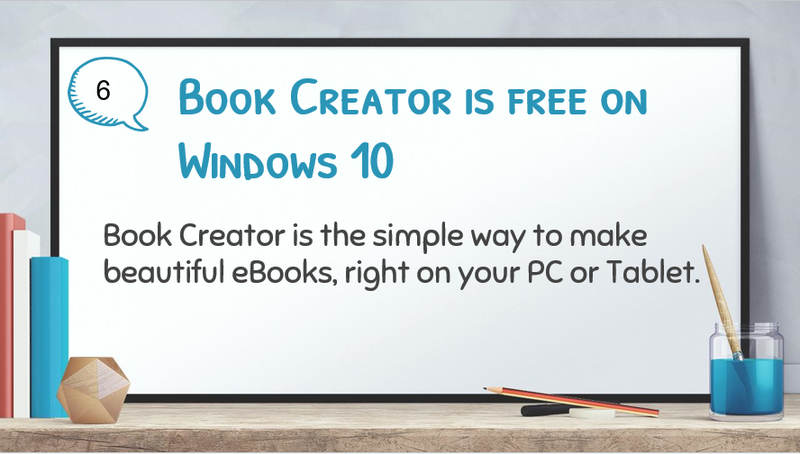 Book Creator is the simple way to make beautiful ebooks, right on your PC or Tablet. 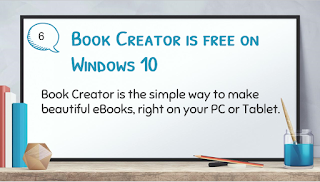 This Book creation app which is used in 80 countries is also available on Windows! With over 10 million ebooks created so far, Book Creator is ideal for making all kinds of books, including children's picture books, photo books, comic books, journals, textbooks and more. And when you're done, you can share your book with ease, or even publish it to online book stores! 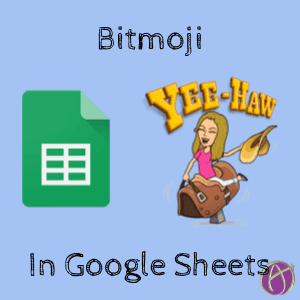 This is a must for exploring this term! 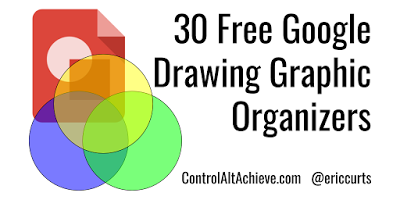 These are just a few ideas to try out in the third term. Have fun! We are pleased to announce that our next free webinar, 'Trending in IT' will be held this coming Thursday 27th July at 3:15pm. 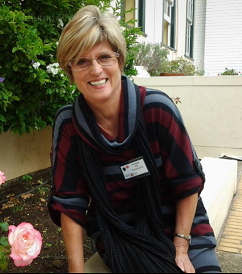 Our speaker will be Tracy Heath, a Microsoft MIEExpert Educator from Joburg. She is the ICT teacher for the Primary School at Brescia House School, a Microsoft Showcase School, in Johannesburg, Gauteng. She has been teaching ICT for more than 13 years. 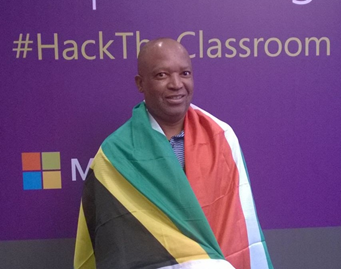 Tracy was one of three teachers in South Africa selected to attend the Microsoft E2 Global Exchange in Budapest in 2016. Tracy recently returned from the ISTE conference which is the biggest Ed Tech conference in the world. This year it was held in San Antonio in TExas. Tracy says that she learnt a huge amount. One of her big take aways from ISTE is taking responsibility for personal learning and belonging to groups that can help one's learning path. Tracy is eager to share some of what she learned in the upcoming webinar which she has titled, " Trending in IT." Presenter: Tracy Heath, MIEExpert, ICT teacher for the Primary School at Brescia House School, a Microsoft Showcase School, in Johannesburg, Gauteng. 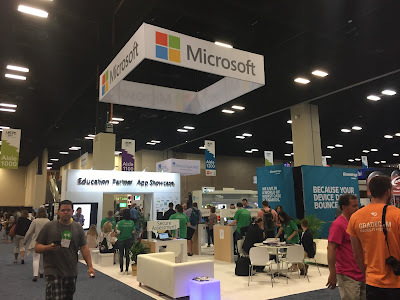 Summary: Tracy says: "I was privileged to attend ISTE 2017 in San Antonio, Texas and was blown away by the positive and excited educators that I met there. There were over 1100 sessions to attend and so much to see and learn. My presentation will be on the general trends in education that I saw while at ISTE. I will cover coding, AR, VR, libraries and the maker movement as well as touching on professional development." 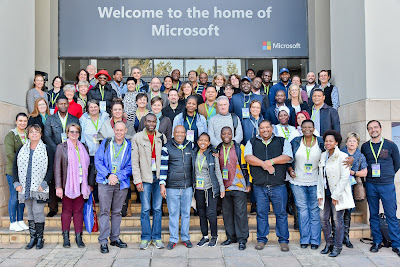 Recently in Joburg, the Microsoft Education Exchange (E2) Africa Forum bought together almost sixty MIE Experts and representatives of Microsoft Schools for two days of hands-on learning, networking, and trying out some of the latest Microsoft tools at the Microsoft offices in Bryanston. One of the highlights of the event was a keynote on Problem-Based Learning presented by Stephen Reid from Immersive Minds in Scotland. Stephen introduced teachers to the basics of Minecraft in the context of developing a group work project which involved coming up with a South African problem and then modeling a solution in a Small South Africa Minecraft world. Minecraft can be used as a powerful tool for critical and creative thinking in social, economic and environmental issues and in developing awareness and empathy beyond the curriculum. A game reserve including a cheetah, warthog, buffalo, termite mounds and hyena dens. A replica of the Ndebele village. 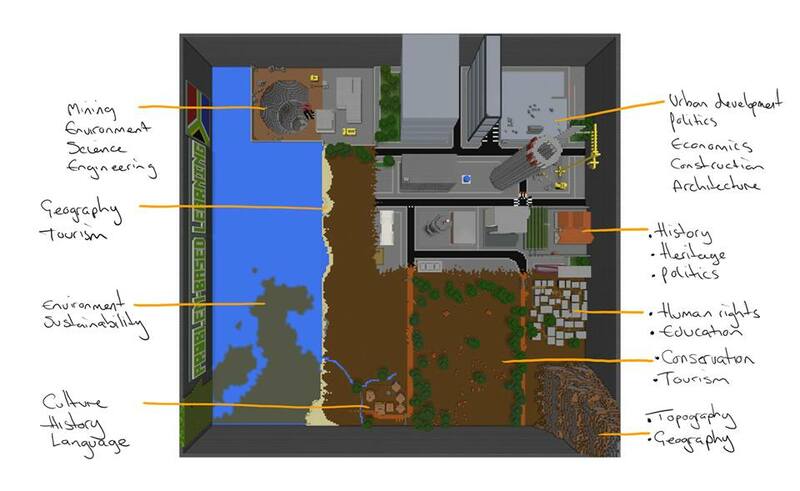 As with all Minecraft resources the map can be changed in any way and can be extended beyond the walls seen in the images. 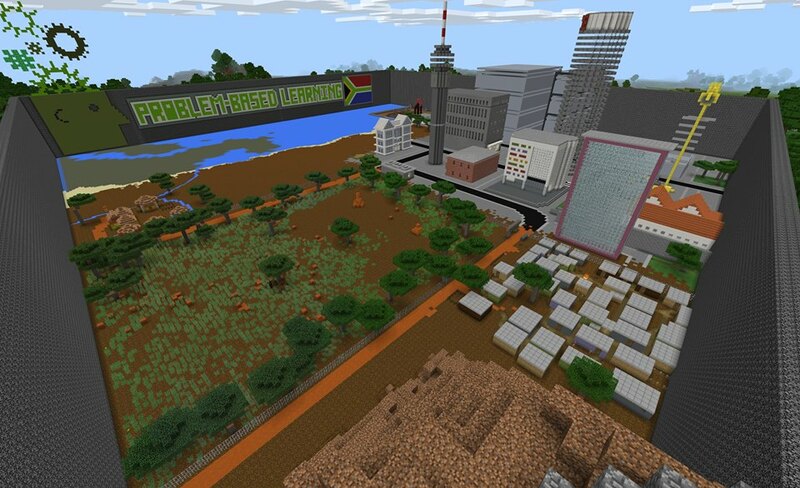 The map will be available for download soon via https://education.minecraft.net/"
Contact Computer4Kids in South Africa to find out more about using Minecraft: Education Edition in your classroom. They provide Minecraft: Education Edition training and have created some great Minecraft: Education Edition learning resources for you to use in your classroom. Currently Computers4Kids is running a Minecraft: Education Edition competition which closes on 17 September. Why not encourage your students to enter this competition? The free problem-based learning course, which is available on the Minecraft Education Community, can be accessed here. 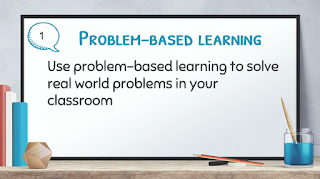 Problem-based learning (PBL) has become an integral part of the 21st century classroom. When students are faced with solving ill-structured, open-ended, messy problems, they are pushed to think more critically and work collaboratively. Many Microsoft tools help support problem-based learning. 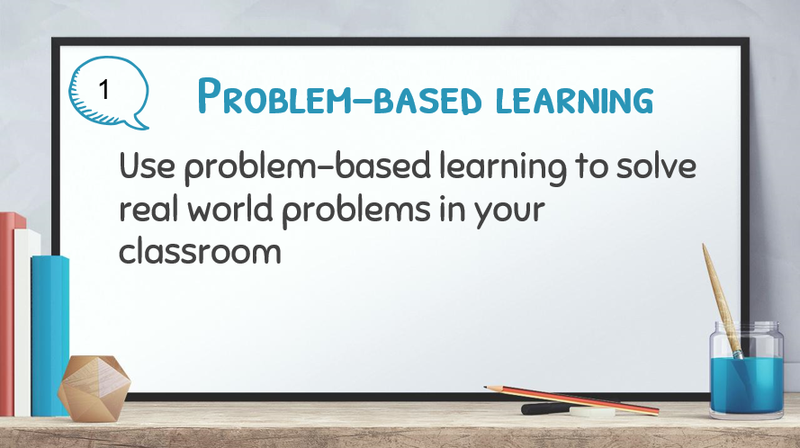 This course has been developed to help you understand what PBL is and how to plan and implement a problem-based learning experience in your classroom. determination and drive. In 2008 he was head-hunted and recruited as principal of Mankuroane Technical and Commercial High School school because of his achievements as principal at his previous school. Mankuroane Technical and Commercial High School school is situated in a deep rural area in Taung, Limpopo. Moses immediately set to work to upgrade the school's technology. In 2010 he applied to the national lottery for funding to build workshops and purchase computers. This was granted in 2011. As part of the business plan 60 computers were purchased for curriculum delivery. As a result the Engineering, Graphics and Design pass rate improved to the current 100% pass rate. Moses Sello Sehoole’s success story doesn’t stop there. 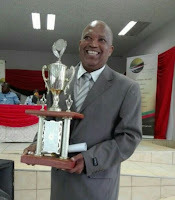 In 2008 and again in 2011 he was nominated to participate in the South African National Teaching Awards for Excellence in Secondary School Leadership. He reached the provincial level on both occasions, which was a great achievement for him and the school. In 2016 he was nominated again to participate in the 17th National Teaching Awards and he went on to reach national level. Moses finds that the benefits of using ICT integration in his classes are evident. 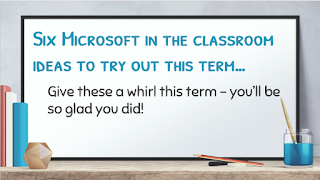 “Using Microsoft tools makes learning more interesting and fun for my learners and helps them to remember and recall better. The class performance improved a lot because of their professional looking work using a desktop computer. We used to have only a few learners progressing from Grade 10 to 12 but since we started integrating Microsoft technology into our daily teaching and learning, I am delighted to see more and more learners successfully progressing from one grade to another.” Moses is of the opinion that learners are independent thinkers, who no longer desire to simply consume information but who would rather participate actively in various projects with excitement because of technology. 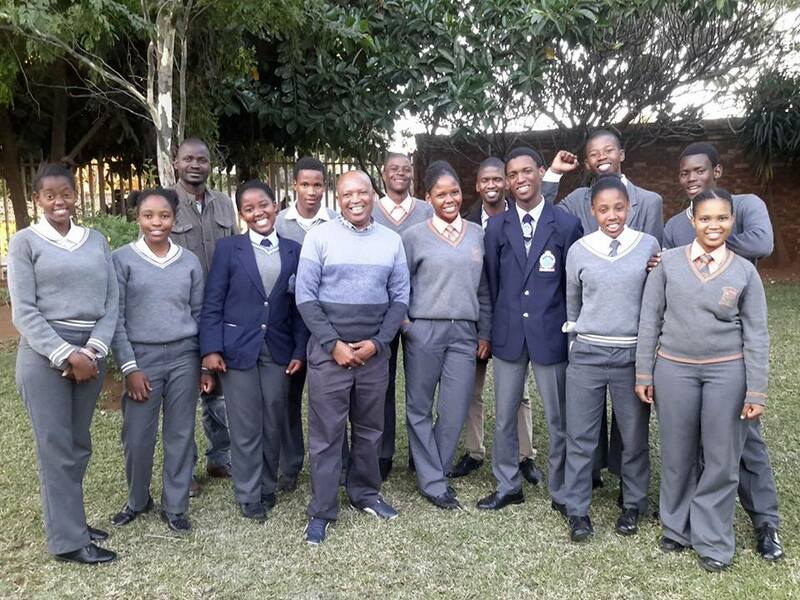 He has noticed that his learners’ self-esteem, self-awareness and growth has improved as a result of the technology integration using Microsoft tools. The teachers have also benefited from training in ICT integration. 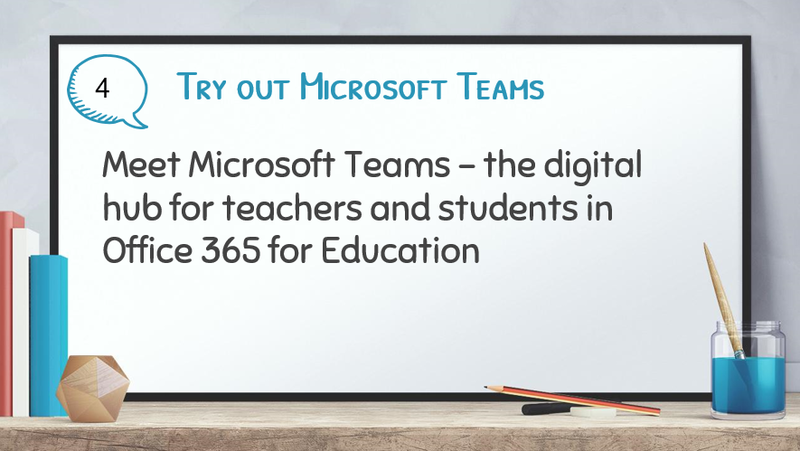 “As a Microsoft Innovative Educator Expert, I trained about 30 teachers on how to integrate ICT in their daily teaching and learning. 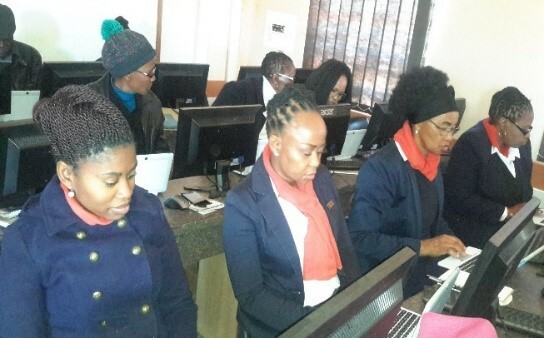 After training they are required to use the ICT skills acquired in daily teaching and learning.” The training continued in 2017 when the Department of Education entered into a partnership with the University of Witwatersrand to present a three months’ workshop for selected teachers in using ICT integration in daily teaching and learning. This workshop afforded Moses an opportunity to showcase his ICT skills as he was appointed as an ICT Champion to teach some of the topics. from South Africa and Lesotho are selected to attend Education Exchange (E2) events both locally and internationally; they participate in webinars to boost their own skills; they feature in case studies, blogposts and webinars; and they are part of a local and international community of teachers who share ideas and best practices.If you would like to be a part of this exciting program we invite you to view the Microsoft Educator Expert page on the Microsoft Educator Community to find out more and to apply for the next intake. MIE Experts are part of an exclusive Microsoft program created to recognize global educator visionaries who are using technology to improve teaching and learning. Outstanding MIE Experts from South Africa and Lesotho are selected to attend Education Exchange (E2) events both locally and internationally; they participate in webinars to boost their own skills; they feature in case studies, blogposts and webinars; and they are part of a local and international community of teachers who share ideas and best practices. Here is an image of the MIE Experts who were invited to the very exciting Microsoft E2 Africa #makewhatsnext In Johannesburg recently. If you would like to be a part of this exciting program we invite you to apply. 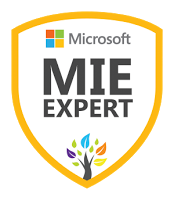 See the Microsoft Educator Expert page on the Microsoft Educator Community to find out more and to apply. 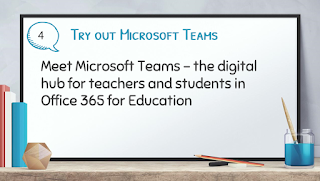 Microsoft is opening this program to education trainers, ICT Centre managers, government leaders or someone who sets policy at a local, regional or country level. Charmaine Roynon, a Microsoft Innovative Educator Expert from Cape Town, is currently the ICT Integrator at Wynberg Girl’s Junior School, (also coined WGJS). In addition she is also Head of Curriculum Development and Teacher Training at EDU 365 SA. 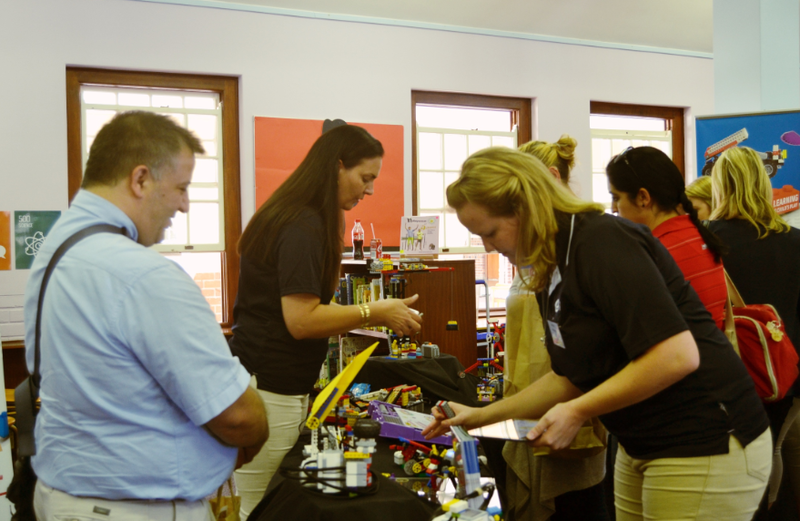 Charmaine says, “Working in the Education space is an ongoing adventure – it is dynamic and exciting. I thrive on working with curriculum and learning new, authentic methods to deliver curriculum. I would like to see teachers being given FAR, FAR more time to learn, engage with and implement technology in meaningful way – to use technology as a relevant teaching, administration and delivery tool.” Charmaine's passion is two-fold. She loves introducing teachers and learners to coding, and she also loves growing great teachers by means of professional development. Charmaine believes strongly in sharing expertise. “I would like to see advantaged schools sharing their expertise more with disadvantaged schools. Education is definitely moving into a digital space where more learners will have access to resources and tools.” To this end she introduced an exciting coding initiative which spread the influence of WGIS beyond the school walls. She arranged a “Crack the Code – Promoting Cerebral Fitness” Conference at the school in March this year.. The aim of the event was to expose the wider school community to coding, robotics and the critical thinking skills it addresses. “The WGIS girls already work in Kodu, Minecraft, Scratch, Alice 3, www.code.org and Code Monkey. This two day conference allowed WGIS teachers and other presenters to introduce coding to the wider school community.” If you would like to hear more about this please listen to the coding webinar that Charmaine presented for SchoolNet in June 2017. 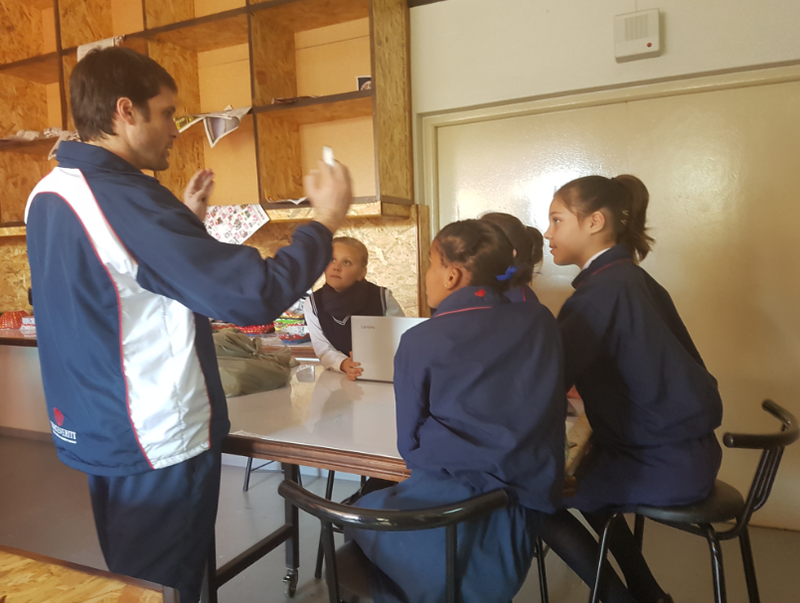 WGIS is developing a Wynberg Teaching AcademyThe second initiative that Charmaine is involved in is still in the pipeline but it involves forming a Wynberg Teacher’s Academy – called “Growing Great Teachers”. This will be a professional development hub at WGJS where teachers will have the opportunity to share best practice with others. Charmaine says: “Good teachers help other teachers find the good teacher in themselves”. program created to recognize global educator visionaries who are using technology to improve teaching and learning. Outstanding MIE Experts from South Africa and Lesotho are selected to attend Education Exchange (E2) events both locally and internationally; they participate in webinars to boost their own skills; they feature in case studies, blogposts and webinars; and they are part of a local and international community of teachers who share ideas and best practices. It is not every day that you find a Maths author is also a teacher who is passionate about using technology in his classroom. 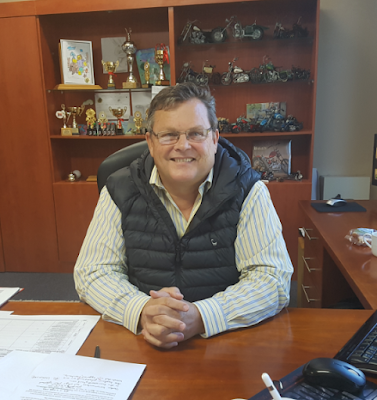 Mr Gerald Plaatjies is a Grade 5 Maths teachers at Eden Park Primary School in Johannesburg, South Africa (Ekurhuleni West District), and he is very passionate about integrating technology in education. He has been teaching Maths at Eden Park Primary School for over 21 years, and during this time he has created a variety of learning materials for his learners using Microsoft Office. Mr Plaatjies is the author of the Amazing Mental Calculations: Division book which was published in Canada; and he is in the process of completing his second book in this series entitled Amazing Mental Calculations: Timetables. Gerald has been interested in using technology in teaching for many years. In fact, it all started in the year 2000 when he bought his first computer. “I learnt the nitty gritty stuff by myself, starting with word processing”, he said. He is motivated by making mathematics as interactive and practical as possible in the classroom. 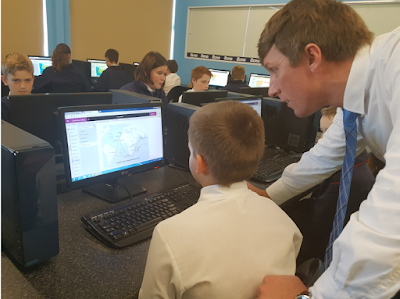 He uses Microsoft extensively in his classroom and PowerPoint is one of his favourite tools for his lessons and assessments. Gerald uses ICT technology for lessons and other every day tasks in a variety of ways using Microsoft Office and other technologies. 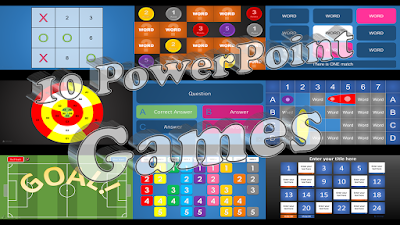 He displays images on PowerPoint to teach 3D shapes in Geometry as well as to show differences and similarities between 2D and 3D objects. He encourages his learners to take photos of buildings and objects around the school and he uses these in mathematics lessons. He makes video recordings of practical lessons for his learners to refer to when they don’t understand Maths concepts. Gerald enjoys using Microsoft Excel to make graphs for all kinds of situations. He chooses real life situations to demonstrate making graphs in class. He records all his marks using Microsoft Excel and also uses Excel as an analytical tool. He uses Microsoft Office programs to design certificates for the learners., and they love receiving these. He also created a cover for the school diary using Microsoft Office programs. Teaching at a public school in South Africa is not without its challenges especially when it comes to using technology during lessons. Electricity outages are not uncommon. Gerald has to book the devices when he wants to use them in class as these are in demand. Lack of Internet connectivity is also a regular challenge. However, these challenges do not diminish his enthusiasm. He bought his own data projector to use in class, as he believes it is important for the learners to see what he is presenting. Gerald believes that the use of a program PowerPoint can make a lesson very interesting. He often converts PowerPoint presentations to MP4 videos so that they can be viewed via a DVD player by means of a USB. Gerald Plaaitjies has his future dreams for education. He looks forward to that day in South Africa when schools can do away with paper and become paperless classrooms. He longs for the day when parents are more involved in driving and encouraging the use of technology in education. He advocates that effective communication between parents and teachers will start the conversation in this direction. 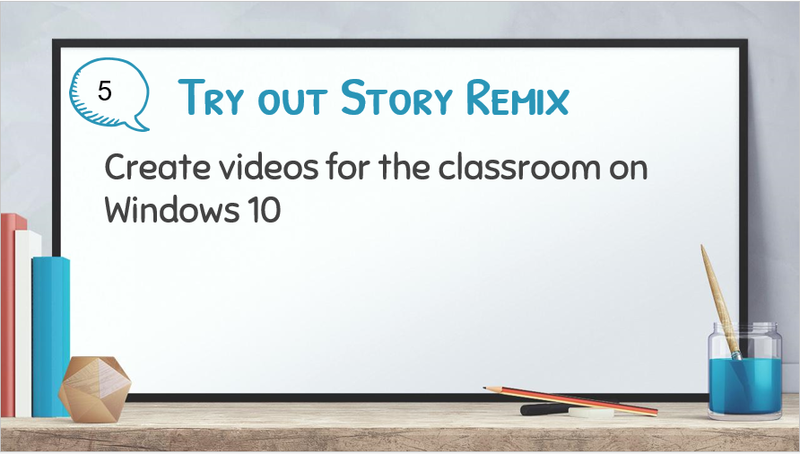 How do you use Microsoft application in your classroom?